KUWAIT CITY, Nov 4, (Agencies): The Kuwaiti security authorities are determined to bring back to Kuwait a number of Kuwaitis who are fighting alongside some factions in Syria, in spite of their attempts to evade justice at home, reports Al-Rai daily quoting knowledgeable sources. The sources said most of them fight alongside the Sham Liberation Organization, formerly known as the Al-Nusra Front, headed by Abu Muhammad Al-Julani. Most of them are located in the city of Idlib, while the others are based in Aleppo. The sources pointed out among the fighters is a former imam working for the Ministry of Awqaf. He originally had joined the al-Qaeda organization and later defected to the Al-Nusra Front along with four other Sharia officials. The sources pointed out there are other Kuwaitis who are not in the forefront but exert efforts to resolve differences between the fighting groups in Syria and are not engaged in armed activities. 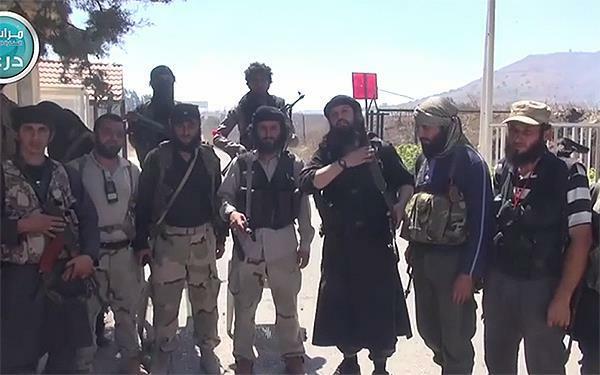 The total number of Kuwaitis in Syria is believed to be 12, not affiliated to DAESH, the sources added. Department of Criminal Execution and Foreign Contacts at the Ministry of Justice has addressed its counterpart in Turkey in an official letter to hand over fugitives, among them former and current lawmakers and activists who escaped from the country to evade jail terms slapped on them for storming the National Assembly premises. The daily quoting a knowledgeable source disclosed that Turkish authorities requested a copy of the final judgments, which will be presented to concerned authorities in Ankara to enhance quick extradition of the fugitives. He said the Turkish authorities will take necessary legal measures as soon as possible, noting MPs Waleed Al-Tabtabaei and Jam'an Al-Harbash will be treated equally as others. He assured the department is not relenting on its efforts to track down fugitives through regular renewal of requests from the Interpol. UN officials and volunteers from the Syrian Arab Red Crescent offered children vaccinations and distributed desperately needed aid on Sunday, the first such assistance to reach thousands in a remote camp for the displaced on Syria's border with Jordan since January. Residents said that humanitarians from international organizations entered their desolate camp for the first time since it was set up over three years ago, where nearly 50,000 have been stranded in limbo. Fadwa Baroud of the United Nations Office of the Resident Coordinator said it was the first time a UN aid convoy had accessed Rukban camp from inside Syria. Before January, aid only reached the camp from Jordan and aid workers were barred from accessing the camp out of security concerns. The Arab Syrian Red Crescent and the United Nations posted pictures of staff unloading trucks of life-saving assistance and administering vaccines on children in the camp. Residents posed with the aid trucks driving through the desolate camp, where 10,000 children are expected to be vaccinated. The US-led coalition fighting against Islamic State militants said its local allies, a Syrian armed group known as Maghawir al-Thawra, provided security for the aid convoys. Resident Abdul-Fatah al-Khaled, who also runs a camp school, said aid workers, including UN staff, were on the ground at the camp for the first time. 'Before (January) the aid used to be distributed from the Jordanian side over the sand berms' or by rebel groups who resided in the camp, al- Khaled said. Al-Khaled said distribution of food and winter clothes began late Saturday. People started gathering in Rukban three years ago, fleeing IS militants and airstrikes by the US-led coalition, Russia and Syria. Jordan sealed its border and stopped regular aid deliveries in 2016 after a cross-border IS attack that killed seven Jordanian soldiers. The attack, and other violence, fueled accusations that militants were hiding among camp residents and raised concern that deteriorating humanitarian conditions amounted to collective punishment.